Hands up all those who wish they had come up with the idea for Harry Potter? Yeah, I thought so, me too. 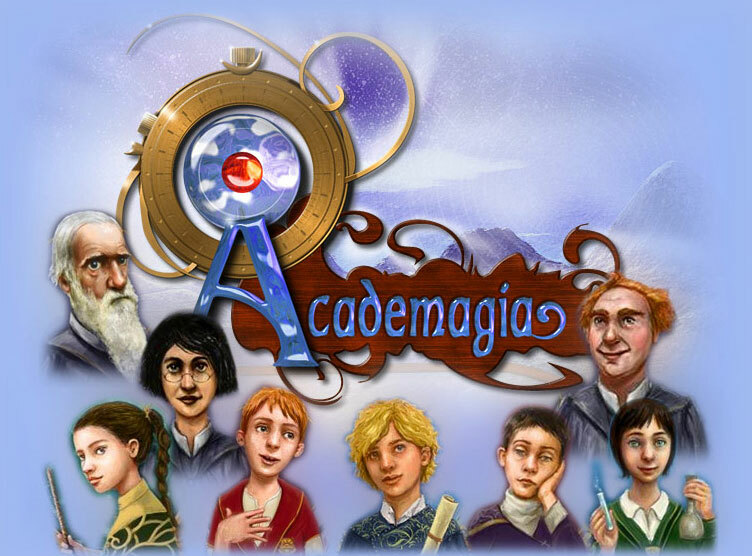 I admit, I liked the books and the child at heart in me wanted to attend Hogwarts and learn the intricacies of magic, so I looked forward to Academagia: The Making of Mages, a text-based RPG, life simulation from the indie developer, Black Chicken. But I think I bit off more than I could chew. First off, you receive a letter from the renowned Academy of Magic (sound familiar?) in the city of Mineta, it’s from this point you get to create your character. Don’t be fooled though, this is no ordinary character creation process, it’s huge, giving you more choices than you can shake a wand at. Enter your name, followed by an enormous choice of questions that are based on family history, astrological star-signs, intelligence, where you apprenticed or studied. This process can take a good half hour to start with and may seem a little daunting, but it’s really worth reading through as it forms the basis of who you are and what events befall you as a young wizard. Last in a very long list of choices is your ‘familiar’ – which, apparently, is an animal that you share a magical and psychic bond with, who knew? You can pick from a dog, cat, rat, and an owl, or if you’re feeling a little flamboyant, then you can pick an exotic species, such as a dragon, shade, sprite or hedgehog! By now you are sick to death of choices and most likely are ready to mount your broom and fly off into the sunset, but hold on, there’s one more before you can enter the hallowed halls of wizardom. You must now choose which college you are to attend during your time at the academy. You have seven to pick from, each has it’s own special requirements and skills you learn, as well as specialist exams and lessons. For example, at the college of Godina, who develop battle mages, you can learn all sorts of incantation spells and practise dramatic displays of power. On top of this you also have core subjects to study, like athletics, music classes and astrology. Top this with a selection of optional classes such as Botany, Magical Animal Lore and Wrestling (sounds like Eaton) and you’re ready for the off and your first day as a student. If the above reminds you too much of your GCSE’s then this next bit will really make you foam at the mouth. You are given a daily schedule to follow, which is basically a timetable (remember those?) of the classes you should be attending. Follow this list and you get to learn new spells or improve your stats points and revise for the upcoming exams, however, you are also offered the option of ignoring your daily timetable and setting off to find adventure or just hang out with friends. The latter won’t improve your ability to pass the exams, but it builds up the comradeship element of the game, but if you get caught out of class, or doing something you shouldn’t be, then it’s detention for you. At the end of every day you are given a summary of the choices you made and what skills and spells you learned or the results of any adventures you decided to go on. And speaking of events, there are hundreds waiting to be triggered – in fact, there are over eight hundred possible random events, over one hundred adventures, hundreds of skills and spells to learn and over eighty other students to interact with. Impressive eh? I can’t begin to emphasise just how immense this game really is and I will put my hand up at this point and state that I did not complete every option available to me. I played for hours upon hours, and I advanced my character to quite a significant level, but I still felt that I had only scratched the surface of this beast. I had to quit and write this review, especially after I was attacked by a vicious bush of some kind – so it was back to the lessons to swot up and increase my level. An excellent aspect of this game is the ability to re-visit an adventure when you are levelled up enough to tackle its choices and not embarrass yourself in front of your classmates or stress out and become harmed. There are hundreds of hours worth of game play here, and mixed with the different story lines and choices you face, this game reminds me of the old Fighting Fantasy books from a number of years back. I have a few gripes with Academagia. First is the rate of play, it is slow, extremely slow. But if you like your text-based RPG’s, and if you are into the spell-casting, Potter-mania genre then this game is right up your cauldron. Second is the level of detailed information, which although great, can drown out the important factors of the story. You find yourself reading, or more accurately, wading into unnecessary amounts of dialogue. I found myself getting lost on a number of occasions and forgetting what it was I originally set out to do. Thirdly, it is a minor one, but still a gripe, the text size on screen is diabolically small and when having to read several pages’ worth of information it can make you cross-eyed. Academagiais okay, but it is grotesquely huge, almost to the point where it’s overwhelmingly daunting. However, if you fall into the niche gamers that would love this, then go for it. 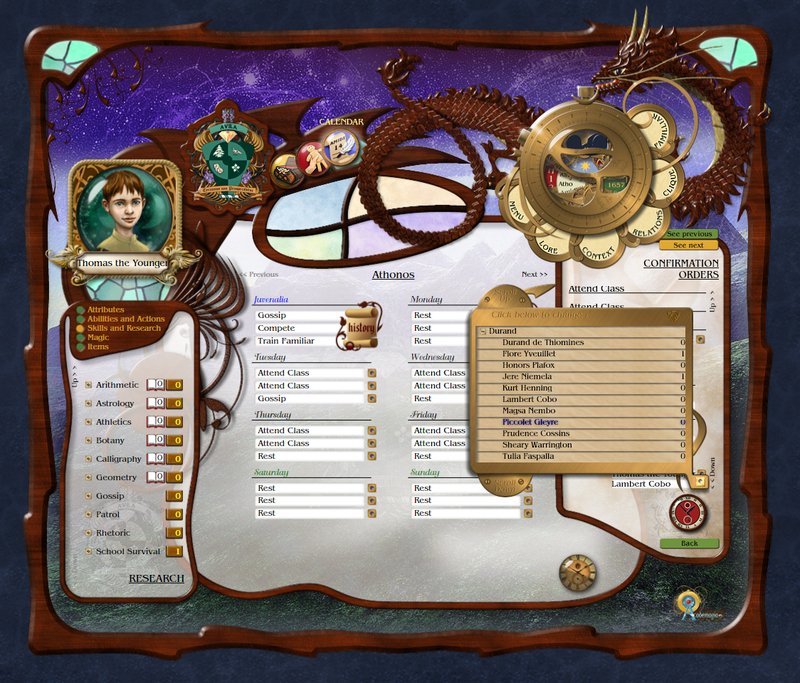 A quick look at the website reveals that the developers are even offering free DLC add-ons in the form of extra adventures and quests and this is only year one, look out for year two in 2012. It’s all a bit too much to get my head around to be perfectly honest, but I had fun playing it, which is the most important thing. I’m also a little concerned at the level of detail Black Chicken have gone to for their research into the arcane. Who did they hire as a consultant? And, more importantly, if I give a bad review will they come after me with a coven of witches?